I'm finally back from my trip to Florida! I had a wonderful time and am so happy to be back home on my comfy bed! 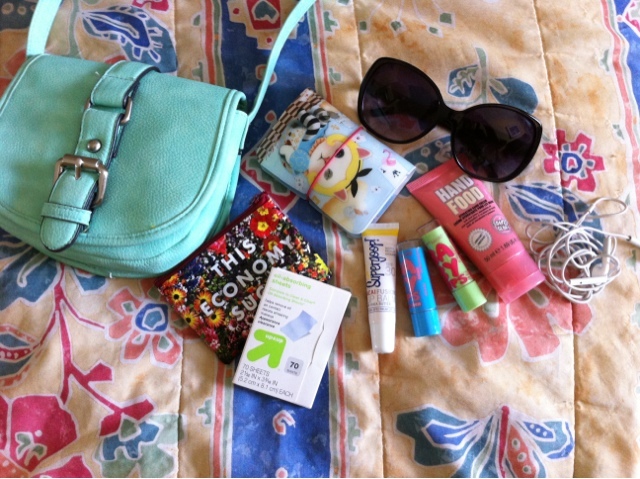 Today I will share with you a "what's in my bag" post but summer themed! 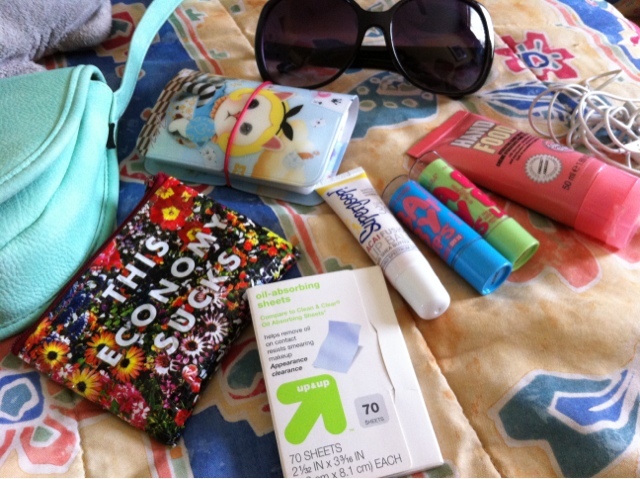 These are the things I keep in my bag when I was in Florida. Yes, its the same bag I used in my previous what's in my bag post but I have some different items in this bag. Enjoy and do mind the tacky hotel bedding background. 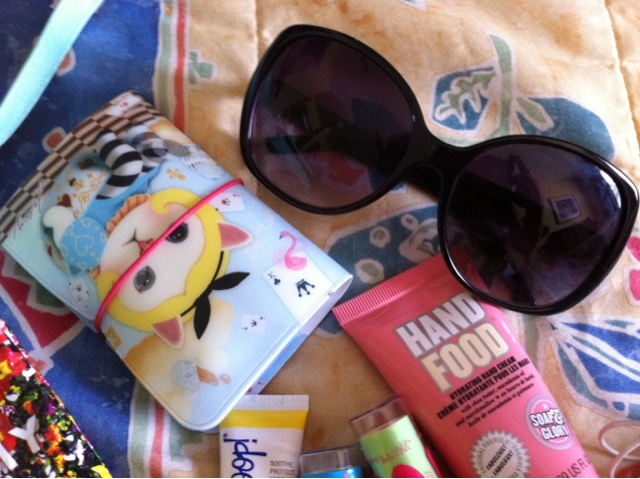 Kitty in Wonderland card wallet and sunglasses from Forever 21. Supergoop! 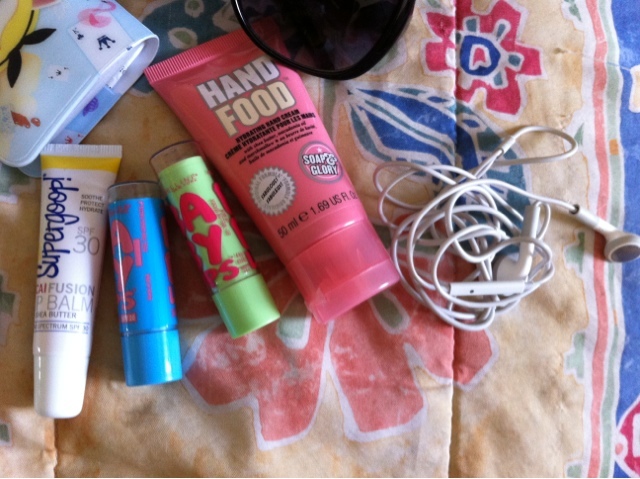 AcaiFusion lip Balm with SPF 30, Maybelline Baby Lips Quenched with Sunscreen SPF 20, Maybelline Baby Lips in Melon Mania, Soap and Glory Hand Food, and ear buds. 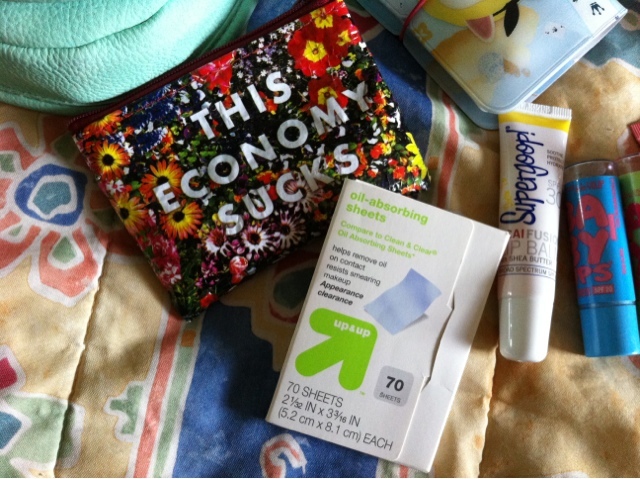 Coin purse and oil-absorbing sheets and iphone (used to take these pictures). Do you carry any different items in your bag during summer?